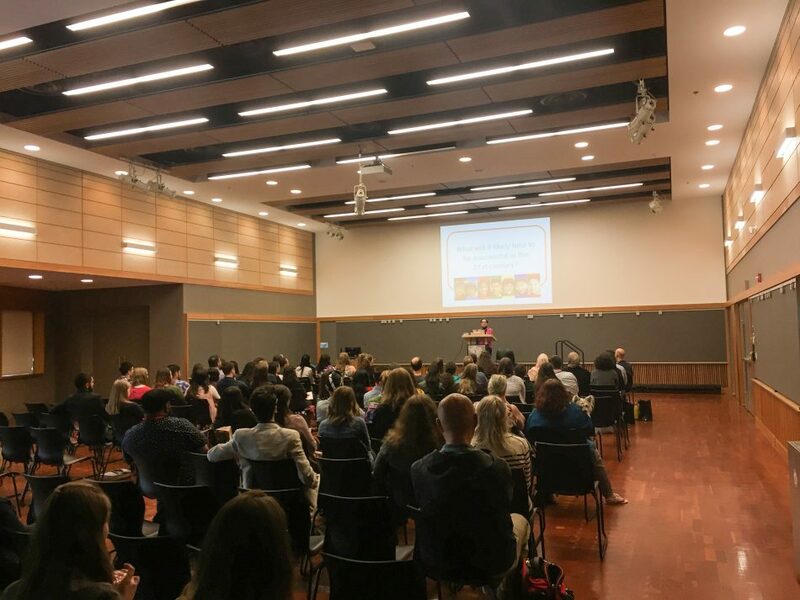 Kwantlen Polytechnic University’s psychology department hosted their bi-annual research conference, Connecting Minds, on the Richmond campus on May 18 and 19. The conference saw students from across Canada present psychology-based research they conducted while earning their undergraduate degrees. Dr. Cory Pedersen, the chair of the psychology department and the lead organizer of the conference, explains that Connecting Minds was specifically designed to be a showcase for undergraduate research. “Generally speaking … the research presented at conferences is graduate research, and work that’s done is by long-standing academics. Undergraduates have a very big challenge to get their research accepted at a conference and usually don’t have a lot of knowledge about what conferences are [or] how they work,” says Pedersen. The research presented at this year’s conference covered subjects like the effects of music on memory, whether students should choose their own groups when doing assignments, and the sources of stress among resident and commuter students. Research was presented in the form of individual or group presentations. One student, Katheryn Johnson, who is in her final year at KPU, examined the effect of anthropomorphizing the environmental cause of composting and the role of psychological factors related to it. This involved putting faces on compost bins to see whether this would impact people’s likelihood of using them more or not. She did the study for her honours thesis and hopes to continue her education with a graduate degree in counselling at UBC. Dr. Diamond is currently the Canada Research Chair Professor of Developmental Cognitive Neuroscience at UBC and a member of the Royal Society of Canada. Her research focuses primarily on improving the awareness and treatment of two mental disorders: Phenylketonuria and Attention Deficit Hyperactivity Disorder. According to Dr. Pedersen, Connecting Minds is the only national undergraduate research conference of its kind in Canada. The conference has hosted undergraduate presenters from as far away as Kentucky and Ontario, though most tend to be from the Lower Mainland, Alberta, or Washington. The next Connecting Minds conference is expected to be held in 2020.